Southeast Consulting is dedicated to bringing our clients World-Class Consulting services in a number of specialized industries. SCI�s information technology project management methodology supports this goal. With a common project management approach, our consultants approach their client projects from a common frame of reference. Our project management vocabulary, detail work plans, project management organization structures and other key project-related areas are consistent, repeatable and verifiable throughout our Firm. This foundation is a key element enabling our professionals to provide a dependable and high quality project management service to our clients. Southeast Consulting's extensive project management methodology for information technology projects has been developed and refined by our senior staff professionals who have significant and varied experience managing complex business and information technology projects. The concepts formalized within our Project Management Methodology are based on existing and proven SCI engagement practices. These practice tools, when combined with the experience base of our senior project managers and our dedication to our clients' success provide a strong winning combination and a primary reason why successful organizations repeatedly choose SCI to assist them with their project management needs. � Project Management Methodology - SCI�s goal is to build durable long lasting relationships with our clients by delivering World-Class Consulting services that are of a consistently superior quality. Our strategic objectives require that we meet or exceed our clients� expectations as an order of business. Our Information Technology Project Management methodology provides one resource for accomplishing this important goal. By outlining a comprehensive, yet flexible, framework for managing information technology projects, we are more strongly positioned to assist our clients in the establishment of a project management approach that focuses on the quality aspects of information technology projects. � Complex Project Management Support - By outlining a thorough, yet flexible, framework for managing complex projects, we are strongly positioned to assist our clients in the establishment of a project management approach that focuses on the quality and delivery aspects of complex projects. Our senior managers and directors can provide the project management focus needed for more complex technology projects requiring seasoned management where an understanding of your users� motivation is paramount to success. � Large-Scale Project Management Services - Large-scale projects contain significant elements of risks, uncertainties, liabilities and vulnerabilities that may cause the project to deviate from your defined plan. Every large-scale project carries these risk factors and a high probability that progress will deviate from management�s plan at some point in the project lifecycle. Risk in a project environment cannot be totally eliminated. However, SCI�s senior project managers are uniquely qualified to assist your organization in reducing the risks of your large-scale projects to an acceptable level. � Process Improvement - SCI specialists are highly skilled in process-oriented method improvements designed to generate enhancements in an organization�s performance through analysis and realignment of existing business processes. We pride ourselves in accomplishing these objectives without putting our clients� organization through the upheaval normally associated with more radical change programs, such as BPR. Our transformation initiatives frequently involve adopting new lines of business or expanding existing business lines into new geographic markets. � Process Re-engineering - Our seasoned consulting professionals are accomplished in using facilitated workshops in the development of creative, pragmatic designs of future business processes. Our Process Redesign services represent a vital part of our Project Management and Process Re-engineering consulting services. � Turnaround - where a project has major problems and maybe 2-3 times over budget and significantly past the original scheduled completion date, striking actions are initiated to regain and redirect the project. � Change Management - Our change management consulting services focus on ensuring that our clients� management and employees are committed, and feel encouraged to contribute to the success of a business transformation or process improvement programs. An SCI orchestrated change management program typically includes the innovative radical redesign of an organization�s business processes along with the implementation of the agreed upon changes. Since business transformation and comprehensive BPR programs entail dramatic changes to an organization�s processes, technology, human resources, physical facilities and policies, our clients frequently draw heavily upon our extensive skills in the management of strategic organizational change. 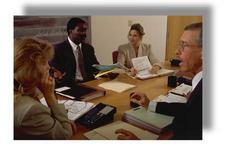 � Staff Augmentation - Many of SCI's consulting professional staff are PMI certified. We have the experience, skill sets and resources to assist you staff your large-scale and complex business and information technology projects.